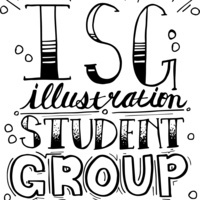 CCC's Illustration Student Group (ISG) is a student organization with a strong identity within the professional and academic community of design. The ISG connects the institution’s Illustration curriculum and the professional industry through academic integrity, personal aesthetics and ethical professional practices. Columbia College Chicago illustrators will endeavor to advance the field of illustration based on the collegiate experience. Join us at our meetings every Tuesday at 623 S. Wabash Ave. (The Haus) from 5-6pm! Email us at ISGColumbia@gmail.com for further information. Find us on Facebook and Instagram! Join our priviate Facebook here. We also utilize the hashtag #illustrationccc ! There can be a bunch of them also so be prepared. They vary in differing types of produced items dependant on what skill you have decided and also by ascending skill level within the crafting skill too from a scale of 1-400 capability at https://www.gamereasy.com/Buy-Maplestory-2.html .